This combination medication contains a proton pump inhibitor and antidopaminergic agent, prescribed for ulcers, indigestion and acid stomach. 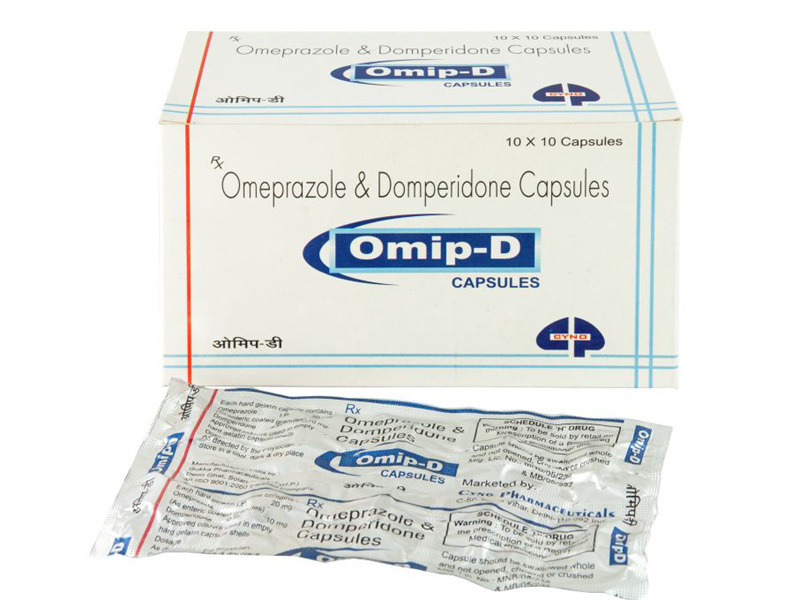 Omeprazole is a proton pump inhibitor used in the treatment of dyspepsia, peptic ulcer disease, gastroesophageal reflux disease,laryngopharyngeal reflux, and Zollinger-Ellison syndrome. Mechanism of Action: Omeprazole is a selective and irreversible proton pump inhibitor. It suppresses stomach acid secretion by specific inhibition of the H +/K + ATPase system found at the secretory surface of gastric parietal cells. Because this enzyme system is regarded as the acid (proton, or H+) pump within the gastric mucosa, omeprazole will inhibit the final step of acid production. Omeprazole will also inhibit both basal and stimulated acid secretion irrespective of the stimulus. Omeprazole is completely metabolized by the cytochrome P450 system, mainly in the liver. Identified metabolites are the sulfone, the sulfide and hydroxy-omeprazole, which exert no significant effect on acid secretion. About 80% of an orally given dose is excreted as metabolites in the urine and the remainder is found in the feces, primarily originating from bile secretion. Domperidone: is a peripheral specific blocker of dopamine receptors. It is administered orally, rectally or intravenously. Domperidone is given in order to relieve nausea and vomiting; to increase the transit of food through the stomach; and to increase lactation by release of prolactin. Mechanism of Action: Domperidone is a peripheral dopamine (D2) and (D3) receptor antagonist. It provides relief from nausea by blocking receptors at the chemo-receptor trigger zone.